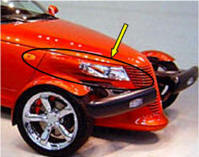 This is the factory stock headlight assembly (comes Painted) for your Prowler. It comes painted to match your car (some colors might not be available). It includes the entire head light assembly. 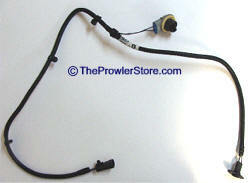 This is a NEW factory stock headlight assembly for your Prowler. It includes the entire head light assembly. Includes one side of your choice. Factory replacement body parts when first offered by Chrysler came painted to match your car. These are the original painted parts that came new painted by Chrysler however you can not request a color. You would have to paint them to your car color or buy our painted ones above. 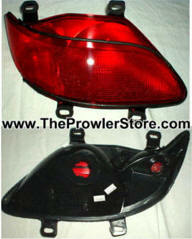 Choose drivers side or passenger side tail light assembly. Choose front bumper or rear bumper lamp assembly. Lamps are right-left universal fit. Rear bumper is Number 7 and Front bumper is number 12 on the diagrams. 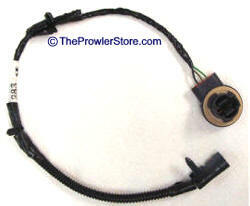 Factory wiring harness for right or left side turn signal. Includes light socket and plug ends. Does not include bulb. Fits rear bumper. Factory wiring harness for right or left side marker light. Includes light socket and plug ends. Does not include bulb. Fits passenger side or drivers side. 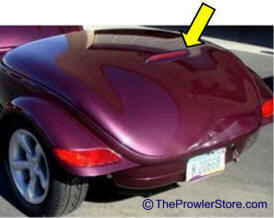 Comes unpainted or painted to match your Prowler. Will fit on your trailer as well. 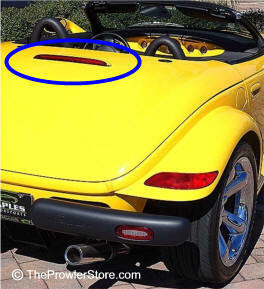 You will have to drill three small holes under the fixture into your trailer trunk lid. You won't see them once it is installed just like on the car. Wire in as to brake lights. See Trailer Parts.